I agree. What a great lady she was. Wonderful quote. Thank you for sharing! ~K. 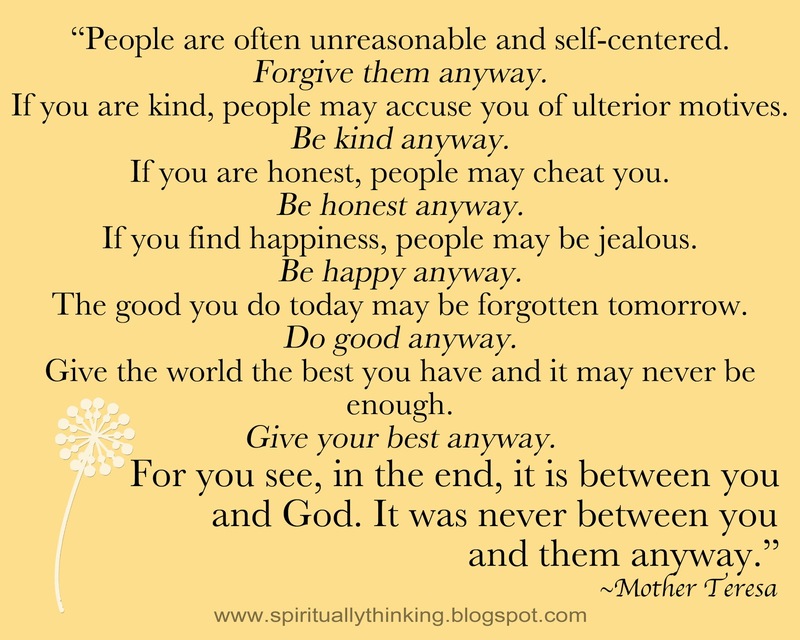 This actually is not a Mother Teresa quote. It is by Dr. Kent Keith. 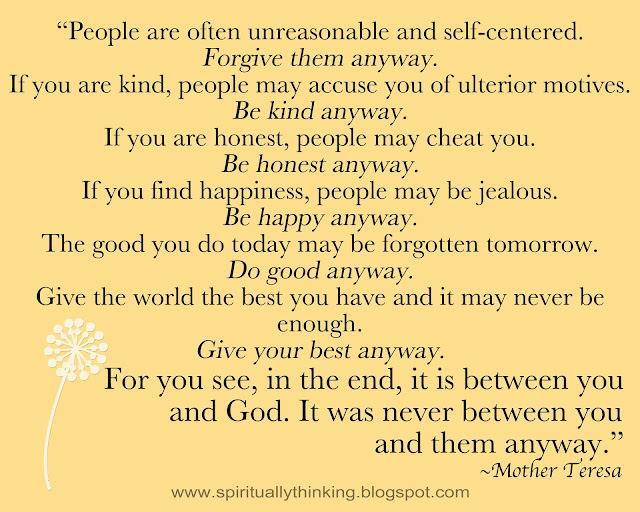 http://www.paradoxicalcommandments.com/ It did hang on Mother Teresa's wall but not written by her. That is the essence of Love . Hope you have a brilliant day!! My Favorite Quote - Truth! 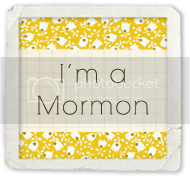 Freebie Friday - New Year and Printables etc. Tie a Knot and Hang On! Lovely People Who Stop By! Copyright © 2011 www.spirituallythinking.blogspot.com. All rights reserved. Sprinkled Joy LLC. Simple theme. Powered by Blogger.